Coca-Cola has always been special to me as my husband had been part of The Coca-Cola Company in the past. That's why I really appreciate it when I get invited to their media events whether it be a celebration of a milestone of the launching of a new campaign. 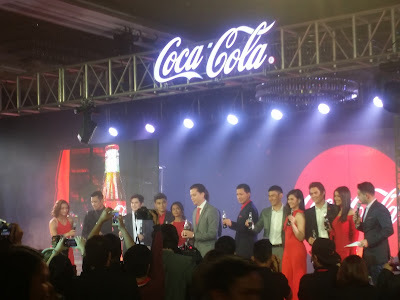 Last week, I was privileged to attend the launching of it's new campaign, "Taste the Feeling™." This global campaign was first introduced in Paris in January 19. "Taste the Feeling™" fully embodies the uplifting refreshment of drinking Coke whatever variant it is. 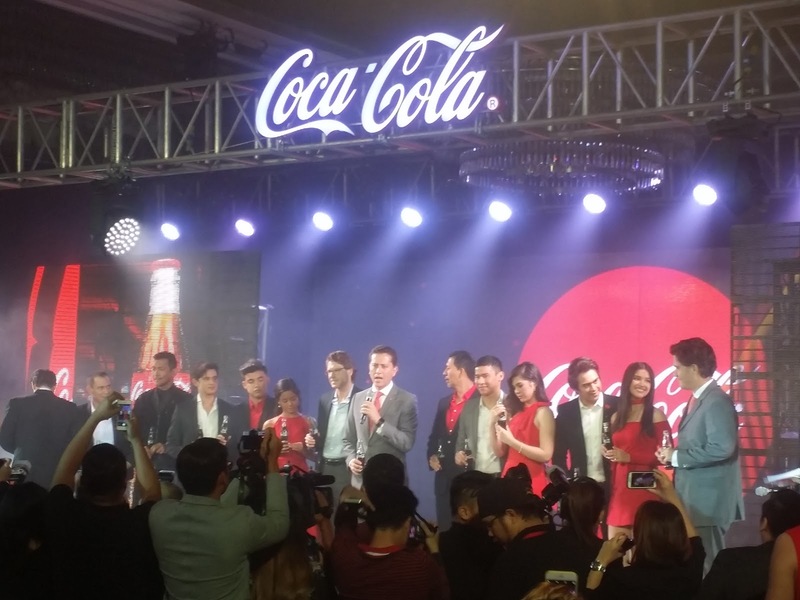 "The new global approach is a powerful investment behind all Coca-Cola products, showing how everyone can enjoy the specialness of an ice-cold Coca-Cola, with or without calories, with or without caffeine," said Marcos de Quinto, Chief Marketing Officer of The Coca-Cola Company. The lead television spot, “Anthem,” comes to life through a series of ordinary moments linked by a Coca-Cola, such as ice-skating with friends, a first date, a first kiss, and a first love. The soundtrack to “Anthem” is an original song titled “Taste the Feeling™ ” sung by London-born, Australia-raised singer, Conrad Sewell. I like the new song, by the way. It's fun and catchy. Although the iconic five-note signature isn't part of it anymore, it's still nice to hear Coke's new audio signature that makes use of the sounds that have long been attributed to drinking Coke: the opening of the fridge, the unmistakable fizzing on ice, the cheers and clinking of glasses, the quenching sip, and the irresistible ahhh at the end. There's a remix version of the song, too, featuring Avici. 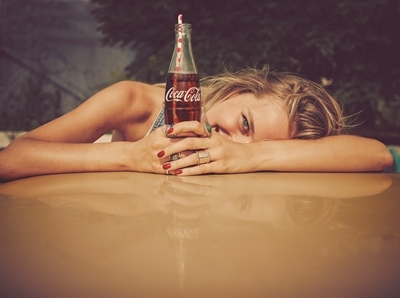 The new campaign also features images shot by noted fashion photographers Guy Aroch and Nacho Ricci capturing people from around the world enjoying ice-cold Coca-Cola in a variety of everyday moments. The new campaign imagery will be used in print advertising,out of home billboards, in-store as well as digital media. The shareable and customizable interactive digital experience is made up of different GIF scenes that reflect feelings associated with drinking Coca-Cola set to the “Taste the Feeling™” anthem. 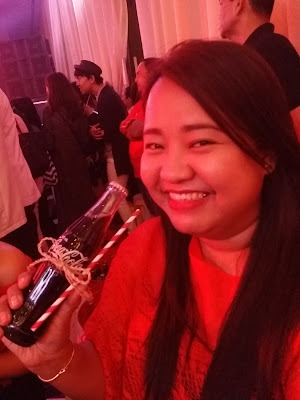 The experience allows users to pull a GIF scene directly from the microsite, personalize the scene with real-time feelings, and share it on social platforms with #TasteTheFeeling. I got to take home a framed copy of one of the images from the launch, yay! Meanwhile, Coca-Cola introduced their new Philippine ambassadors namely, Alden Richards, Maine Mendoza, Enrique Gil, Liza Soberano, James Reid, Nadine Lustre, Enchong Dee, Janella Salvador, Bailey May, and Ylona Garcia. Exciting activities are also lined-up for the rest of the year that will uplift ordinary days and bring refreshing moments throughout the country. They will also bee giving out millions of free Coca-Cola so we can make millions of moments special.